Vancouver Island and its beautiful city of Victoria would be our introduction to Canada as we made our Pacific Coast Voyage from San Diego to Anchorage. We had heard so many wonderful things about the Garden City that we had to make time for a stop on our itinerary. The city is sprinkled with beautifully landscaped parks, a lively and entertaining harbor, abundant history, and great weather. Even after just a few short hours we were already captivated by its charm. It isn’t always easy for a destination to live up to its hype, however Victoria is one of a very few which did not disappoint. And what we definitely weren’t expecting was to be blown away. However this was the case with the delightful introduction to Delta Hotels & Resorts which is based in Canada from coast to coast. 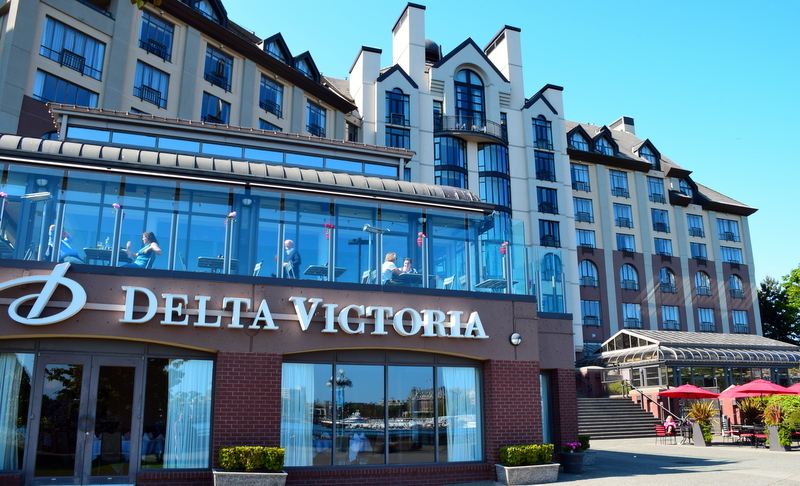 Located in the heart of Victoria right on the beautiful historic waterfront is the Delta Victoria Ocean Pointe Hotel Resort & Spa. Conveniently located close to all of the city’s main attractions, though suitably distant enough to avoid the noise of downtown, we had stumbled upon the ultimate Victorian retreat; a place where it’s possible to take in the beautiful scenery of the harbor from your quiet and relaxing room, or while roaming the grounds of the resort. 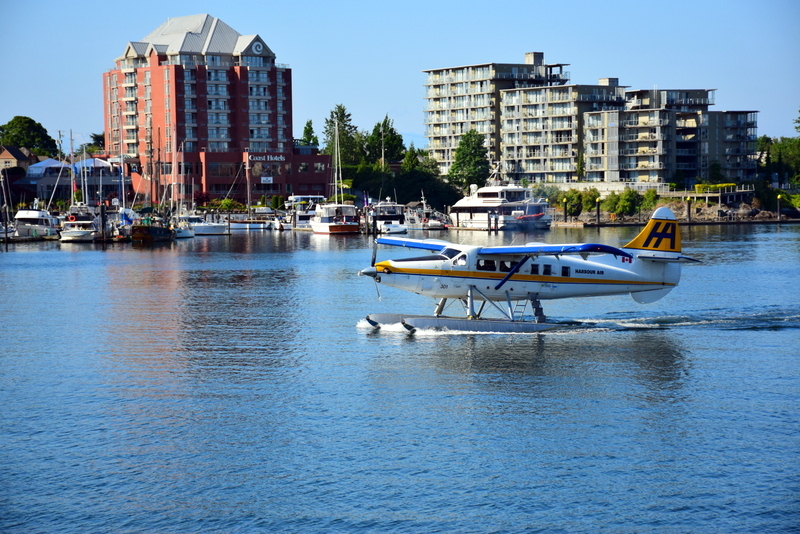 With a courtesy shuttle available at your disposal or the water taxi service located literally just outside the hotel, you can arrive anywhere you desire in just minutes. Even walking is an option and outdoor trails start from right outside your door providing beautiful sights whether you choose to head into town or along popular local hot-spots such as Songhees Walkway or Galloping Goose Trail. Taking in the beautiful scenery of the harbor from our room. Outdoor trails start from right outside the door. With such a prime location it is no wonder why so many Victoria residents we talked to either lived or desired to live in the area surrounding Delta Victoria. It is rare to find a resort style hotel within such a large and lively city but that is exactly what Delta accomplished here. On top of this, we must note that the resort takes first prize for overall cleanliness and attention to detail. Having stayed in countless hotels, never have we seen a hotel so incredibly spotless. No space on the entire property seems to be neglected in any way. We were not expecting such a young and modern feel from Victoria after having heard so much of its long history and old world charm, however Delta Victoria brings the city up to date with every modern convenience that is a must in today’s day and age. Smart desks are found in every room with enough outlets to charge or power even the most tech savvy personality. 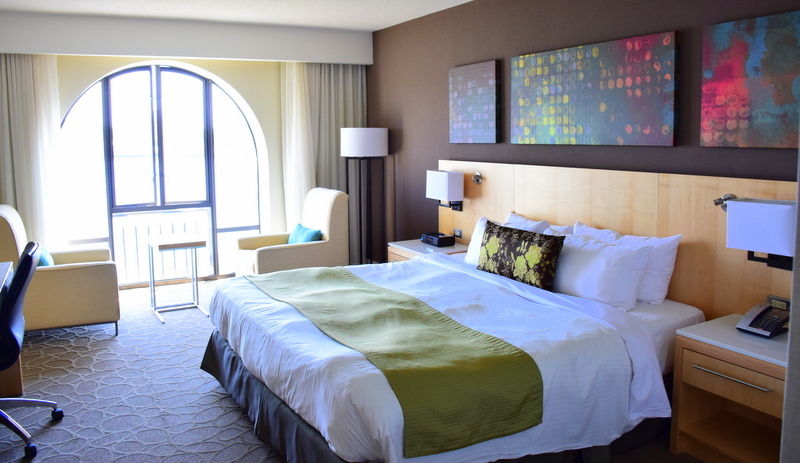 Oceanfront rooms boast floor-to-ceiling windows for completely unobstructed views of the breathtaking inner harbor and floatplanes coming in and out. The design and décor of the rooms are something we would strive to achieve in our own home as they seem to utilize the space perfectly, minimizing clutter while providing everything you might need during your stay. Fully renovated, contemporary and progressive in terms of amenities and style, the rooms are fresh, bold and sharp, and are complimented with the addition of a premium Sanctuary bed for the ultimate luxurious sleep experience. Even the ensuite bathroom was flawless in terms of modern layout and clean design, so incredibly spotless that it shined, once again utilizing space and minimizing clutter. Never have we seen a hotel so incredibly spotless. Even the bathroom shines! Rooms seem to utilize the space perfectly. Though don’t get too comfortable until you’ve been pampered by their award winning spa, or perhaps spent time in the health and fitness center before a swim at the solarium pool and accompanying sun terrace. Lure, their amazing restaurant and bar, will definitely hook you like a fish with what has to be the best views of Victoria. It has an ultra modern lively atmosphere with a unique refreshing layout. The patio competes with the bar as being the highlights of this wonderful Victoria must to experience any meal of the day, and in fact this is where the majority of locals come out to play. Lure: The patio competes with the bar. Lure: an ultra modern lively atmosphere with a unique refreshing layout. 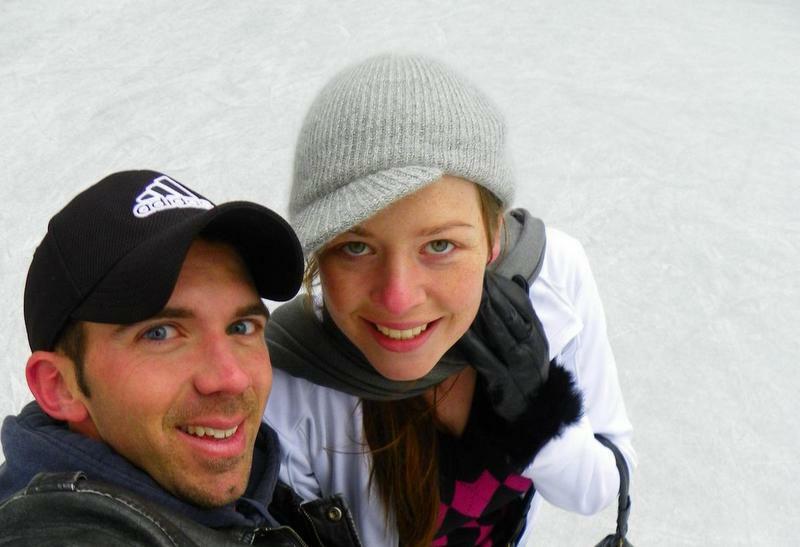 Lure: The best views of Victoria. Even more exciting is the news that Delta Hotels is joining the Marriott family and will soon be part of Marriott’s reward program. 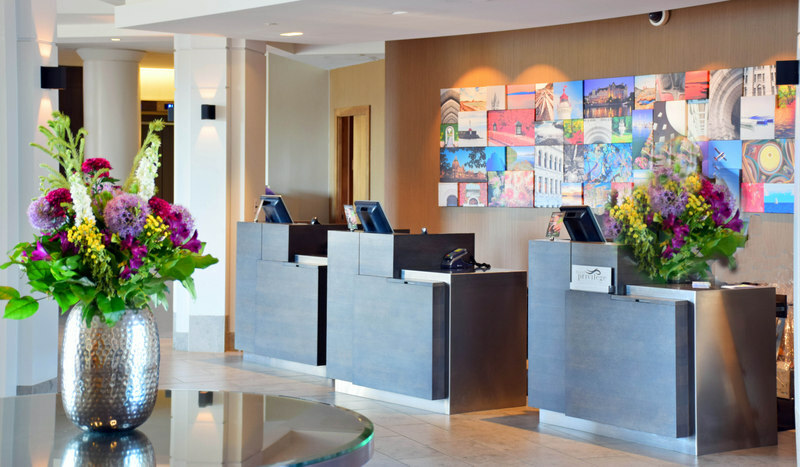 As huge fans of the Marriott brand, Canada’s Delta Hotels are an incredible addition to the family which will greatly add class, style, and wonderful service to an already flawless hotel group. Click for more information on the Delta Victoria Ocean Pointe Hotel Resort & Spa. This is our top recommendation for the traveler to Victoria looking for a chic modern stay.